This was a weekend I had been looking forward to. 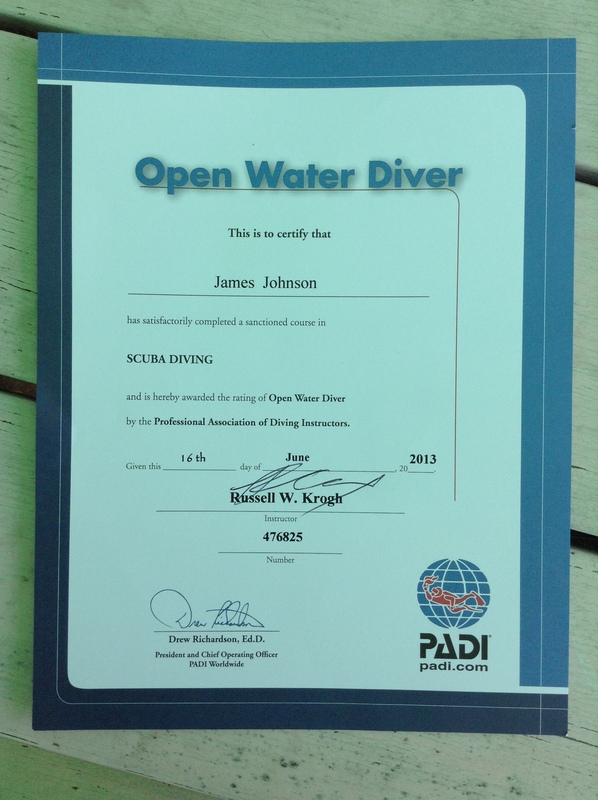 The conclusion of my PADI Open Water diving qualification. There was a little panic and the threat of a very early morning bus ride as the minibus was leaving on Friday night, about 3 hours before I finish work. Luckily, the only other student on the trip, Jos, was driving to the dive site the next morning and so I was up at 7 am to meet in Gangnam. I had had 2 hours sleep. 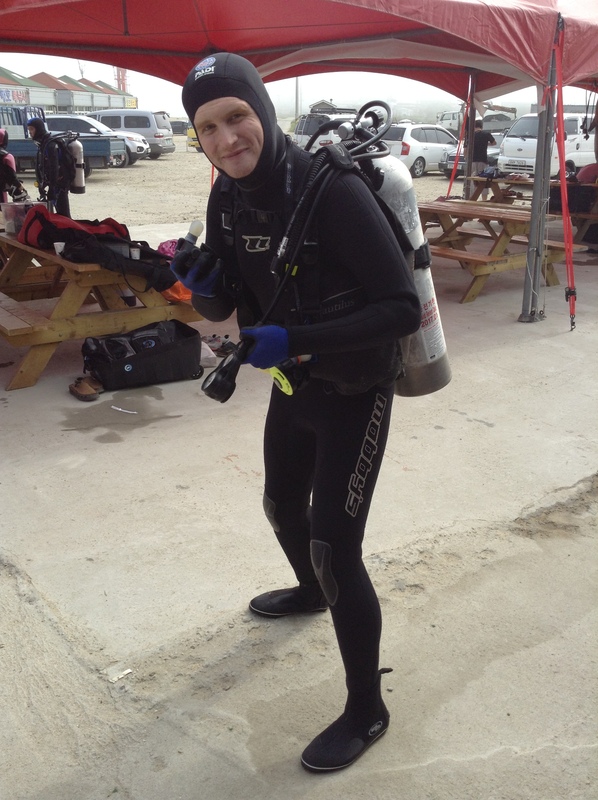 I am doing my PADI Open Water course with Deep Blue Quest. A great training centre run by a guy called Russ Krogh and based in Paju City, just outside Seoul but connected by the subway. It’s a great centre and I strongly recommend it. Check out my first diving post here. Once again the weather was beautiful and Jos was good company on the ride down or over the weekend. 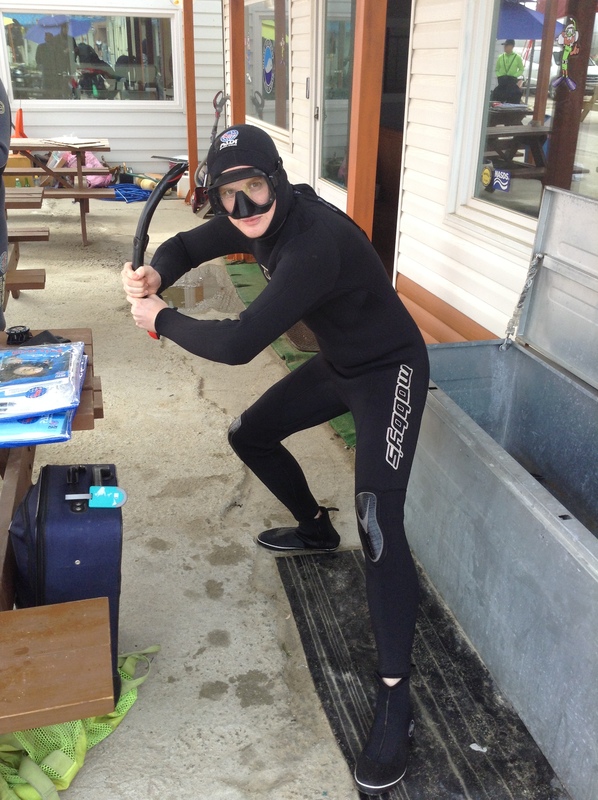 We met Russ and two of his wonderful dive masters on the east coast and wasted no time in unpacking our gear, before too long were SCUBA suiting up. Our first three qualifying dives were on Saturday. We started with he basic essential skills like clearing our masks of water and retrieving our regulators. On our later dives we moved onto more advanced skills, removing our masks completely, simulating a situation where you are out of air and need to share an air tank, and a few others. We didn’t have any trouble with the skills and by the end of the day one both Jos and I had pretty much passed and we only had one more qualifying dive to do the next day. Our instructor decided, due to our general awesomeness on day one, that on day two we could go to a much (much) nicer dive site. I asked Russ if it was going to be much different. “Like night and day”, he said. Deeper, clearer water, more marine life, and we got to jump off a boat. After a pleasant evening we got up early and made our way to Aqua Gallery, a dive shop and Harley Davison biker stop. The SCUBA gods were kind with the weather and gave us clear blue skies and calm waters. From the deck of the boat we could see straight down to the bottom of the reef. Everyone who had been there before said it was the clearest they had ever seen the water, with about 20m clear visibility. 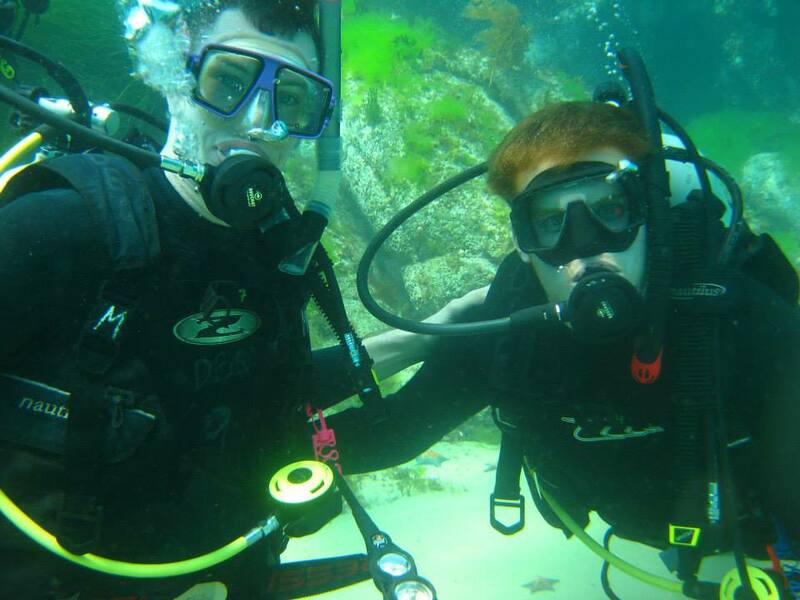 We suited up and took a giant stride into an amazing underwater world. Russ was right, the difference was like night and day. Where our dives the day before had been in murky, crowded waters (apparently ideal for training but not very nice to look at), the water at White Rock was clear and teaming with life. I had some equalisation issues on the way down but eventually we were down there and we were exploring. When you’re down there, all you can here is your own breathing, a hiss as you breath in, a pleasant rush of cold air and a dry feeling in your throat. Then out, a cascade of silver blue bubbles racing for the surface. Big fish, little fish, crabs, even a tiny jellyfish the size of my little fingernail showed up. One of our group started tapping a rock with a metal rod and a crowd of fish gathered to see what was happening. He cracked open a sea urchin, spilling its bright orange guts and sending the fish into a feeding frenzy. He beckoned me over and handed me another broken sea urchin. I’ll admit I didn’t manage to feed them with such ease and may have scared a few off as I tried to shake the urchin to feed them, may have scared a few off but most stuck around, even letting me stroke them as they were feeding. It was awesome. After about half an hour on the bottom we surfaced and got back on the boat. We were going to take a break and move to a different dive site. On route to our destination the boat somehow managed to pick up six Pilipino girls who had been on the beach. I didn’t manage to get any numbers. I blame the wetsuit. 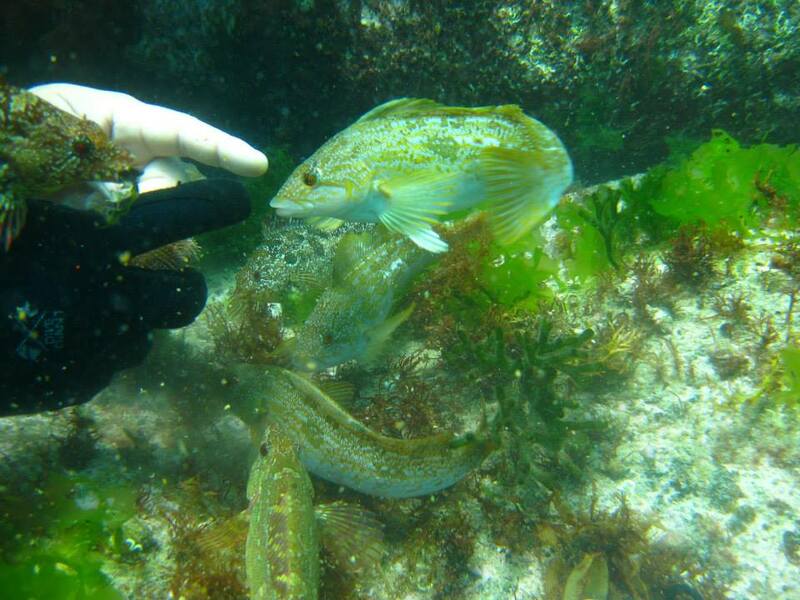 The second dive was even deeper than the first and on this dive I saw my first Project A.W.A.R.E fish rescue. Fishermen drop illegal nets on the reefs as they are home to lots of sea life. One of the divers in the group found a net with a large fish trapped inside. He freed it with his dive knife (it seemed to like its new home and needed some convincing before it gave up on captivity) and the net was floated to the surface. We also swam through a small trench, it was an awesome dive. The weekend was over and I finally got my licence. I’m happy to say I’m now a qualified PADI Open Water diver and I’m eagerly awaiting the arrival of my licence card in a few weeks. If only Hakwon teachers got decent holidays I could go away for a bit and do some diving around Asia. Plenty of time though, the licence is for life. I want to say a huge thank you to Russ and his amazing dive masters. They really know what they’re doing and I had a fantastic weekend. 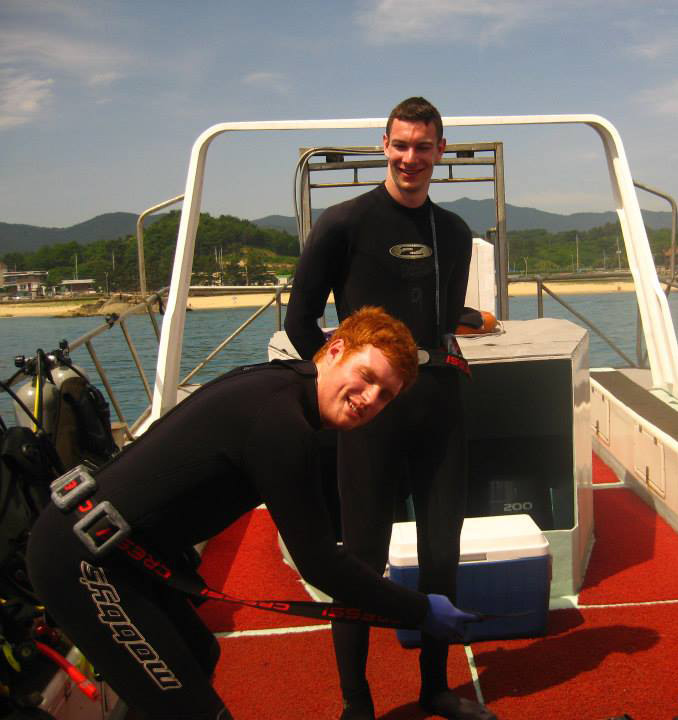 If you want to learn to dive in Korea check out their website here. This concludes the June catch up. The other two weekends were great fun, spent with Susie and Mira, partying and making trouble. A bit more on those later in a post all about night life in Itaewon, where the price of drinks makes you want to cry and you still go back time and time again. Some photos taken by DBQ and are shown here with their permission. This entry was tagged DeepBlueQuest, Diving, Korea, PADI, SCUBA, South Korea. Bookmark the permalink.